EuroSciCon Ltd is delighted to publicize and invite all the participants around the globe for the 19th International Conference on Emerging Materials and Nanotechnology (Emerging Materials 2019) with the theme “Novel Verdicts of Research in Materials Science and Nanotechnology”. Emerging Materials 2019 is going to be organized in Chicago, USA during Oct 31 - Nov 01, 2019 which includes plenary sessions, Keynote presentations, Oral Presentations, Poster Presentations, Workshops and Exhibitions. Emerging Materials 2019 affords platform for global Scientists, Researchers, Professors, CEO’s, Engineers, Post Doctorate’s, PhD graduates to share their novel research experience and involves collaborative discussions on Contemporary strategic research areas in Materials science and Nanotechnology such as Energy production and storage, Self-assembly & Polymer Research, Electronics and Photonics, Nanodevices and Lithography research, Nanophotonics, Catalytic Materials, Bioinspired Materials and Systems, and Green Technologies. Proposals for Oral talks, Poster presentation, Workshop, Company Presentations, Exhibition and Virtual presentations are invited. Emerging Materials 2019 also offer platform for Research Institutes and companies to present their inventive products and research results. Emerging Materials 2019 affords an exceptional approach to come across innovative research ideas and make pioneering collaborations with world-wide experts in the field of Materials Science and Nanotechnology with valuable networking time. Emerging Materials 2019 affords a remarkable opportunity to meet and make new acquaintances that link us with delegates who are dynamic in the field of Materials science and Nanotechnology. The vital issues are addressed by the expertise key note speakers with global appreciation thus deliberating knowledge on the novel technologies and modern drift in the area. Materials science and engineering is an interdisciplinary field of science and engineering incorporating wide range of natural and man-made materials that relates the extraction, structure, synthesis, properties, characterization, performance and material processing. The Materials engineering has advancement and impact in advanced manufacturing, medical device, healthcare, renewable and sustainable energy, materials efficiency, biotechnology, electronics and photonics, energy industries, batteries, fuel cells, aerospace and transportation. Material science and engineering aims at developing materials at the nano, micro and macro scales and involves several subjects such as biomaterials, structural materials, chemical and electrochemical materials science, computational materials science. The advances in materials lead to new revolutions in every discipline of engineering. Material scientist and engineers can improve novel materials with enriched performance by altering the surface properties. Materials are vital for building up of the new world around us. The advancement in Materials science leads to new findings in healthcare, energy, computing and several other fields. Groundbreaking materials with improved functionality can develop the energy output. Materials with unique properties will facilitate energy savings in energy-intensive processes and applications and will generate a new design space for renewable energy generation. The research on materials depends upon how we plan, build and use new products. Thermal and Degradation resistant materials are more resilient in high-temperature atmospheres which can be improved by reducing the energy intensity of the materials. Materials such as advanced composites, hybrid materials, engineered polymers with high functionality and high performance can be installed in energy production and energy transfer equipment. Smart materials such as superomniphobic materials, auxetic materials are designed in such a way which change their properties be external stimuli (stress, temperature, moisture, pH, electric or magnetic fields). Biomaterial is well-defined as a material that has been engineered to interact with components of living system for both therapeutic and diagnostic purpose. Biomaterials can either be natural component or synthetic materials that are synthesized in the laboratory by using metals, ceramics, polymers and composites. Biomaterials serve as the fundamentals of medicine, biology, tissue engineering and materials science that have its application in drug delivery, dental application, joint replacement, surgery and regenerative medicine. 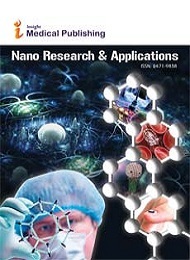 Few of the biomaterials that are used to mimic the natural function are stents, vascular grafts, heart valves, bone plate, bone cement, dental implants, breast implants, surgical sutures, etc., The forefront research in the field of tissue engineering is the synthesis of bio-inspired materials where scientists, engineers and physicians are working together to reproduce the hierarchical organization and flexibility originated from nature to recapitulate the cellular microenvironment. These study emphases on characterizing the properties of biological structures to produce novel bio-inspired materials with multifaceted properties and applications in Bioengineering and Biomedicine. Energy storage is a technology that captures and stores energy for future purpose which is the most serious concern for current society. These issues can be attained by numerous forms such as chemical, electrochemical, thermal, electrical, magnetic, kinetic, and mechanical energy storage. Materials such as alloys, metals, organic materials, nonmetallic inorganic materials, composites, hybrid materials, metal-organic frameworks can used for energy storage applications. Analytical scanning techniques and tools such as transmission electron microscopy (TEM), scanning tunneling microscopy (STMs), Scanning electron microscopy (SEM), atomic-force microscopy (AFM) and Raman spectroscopy helps in design, synthesis and development of energy storage materials. Few of the next-generation energy storage materials are thermoelectric materials, solar cells, metal-air batteries, Na-S batteries. Ceramics are special type of materials because of their properties such as high melting points, low electrical and thermal conductivity, and high compressive strengths with good thermal and chemical stability. They are typically hard, strong and chemically non-reactive. Ceramic materials are neither metallic nor organic that can be oxides, carbides, nitrides, sulphides, oxynitrides, oxicarbides, oxyfluorides, etc. Ceramic Materials may be of glassy or crystalline nature, it has its usage in electronics depending upon their composition as superconducting, semiconducting, ferroelectric or insulator. Ceramics also has its application in fiber optics, chemical sensors, imaging devices, artificial joints etc. Advanced ceramics are used primarily in optical, electronic, electrical and magnetic applications. Advanced Ceramics can further be classified into functional ceramics, magnetic cermaics and Bioceramics. Composite materials are formed by two or more materials with different individual chemical and physical properties that combine to produce superior properties than the parent materials. Smart Materials are those which undergo a material property change as a function of changes in environment. Few of emerging smart materials are piezoelectric materials, Shape memory alloys, Magnetostrictive materials, and Shape Memory polymers, Hydrogels, Electroactive Polymers and Bi-Component Fibers. Piezoelectric materials have its capacity to convert electrical energy to mechanical energy and vice versa that has its use as actuators, sensors, accelerometers and energy harvesters. Shape memory alloys have its ability to change its phase as a function of temperature. Magnetostrictive materials changes in response to magnetic fields which can majorly be used in sensor applications. Electro active polymers primarily have its applications in energy harvesting and sensing. Materials with unique and precise electronic, optical, and magnetic properties have extensive applications in sensors, medicine and computers. Research in optical, electrical and magnetic materials requires few processing techniques to produce materials with precise structure and compositions. Optical materials and devices have its important role in solar energy conversion processes. Optical coatings have its use in heat mirrors, reflector mirrors, holographic films, insulation materials etc. These materials play a major role in research and development of energy efficient windows, photovoltaic, solar energy conversion and hybrid designs. The improvement in electronic materials helps in the advancement of organic semiconductor, computing devices, thin films, and nanostructure crystal growth. The study of physical and chemical properties of materials that occurs at the boundary of two phases is called surface science. Surface engineering seeks to control and modify the properties of materials surface to enhance its properties and application. The surface of biomaterials can be engineered for the integration of implant in the body. Silicon surface functionalization for device technology and chemical modification of graphene and other thin film materials develop the next-generation energy and sensing technologies. The dynamic research area focuses on the development and characterization of surface modification techniques. Materials like polymers, oxides, semiconductors and liquid crystals are employed in devices because of their specific properties like electrical, magnetic, thermal, ferroelectric or piezoelectric properties. Electronic materials are characteristically used as primary elements in many devices such as displays and LEDs usually in mobile phones, laptops, tablets, computers, LED bulbs, GPS devices etc. The advancement in state of materials such as liquid crystals, organic semiconductors and electroluminescent materials leads to the conversion from CRT based displays to LCD and LED based displays. The improvement in materials with high permeability and permittivity helps in high density energy storage capacity. Diodes formed by two blocks of silicon with opposite type of conductivity are the basic building block in numerous devices such as solar cells, light emitting diodes and solid-state Lasers. Development and improvement in solar cell efficiency, energy harvesting, microprocessor speed and data storage capacity are the initial point for the advancement in electronics. Polymer Science is an exciting research field with enormous technological applications due to its molecular behavior and chain like structures. Polymers are advantageous because of their light weight and easy processing. Polymers are widely used in packaging materials, textile materials, industrial materials, information technology, medical devices and pharmaceutical applications. 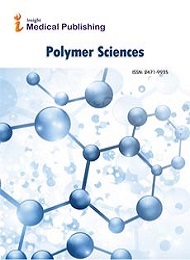 The study and application of nanoscience to polymer compounds is popular among current research. Silicon Nanospheres is one of the familiar nanopolymer with diverse features and harder than silicon material. Graphene which is a fascinating material in today’s world is an allotrope of carbon and is formed by a monolayer of carbon atoms, strongly bound in a hexagonal honeycomb matrix. Graphite is formed by stacking of grapheme layers. Graphene is the thinnest (one atom thick), strongest material and is the best conductor of heat and electricity. Graphene has its application in compsites, energy, electronics, sensors, imaging, telecommunications and biomedical technologies. Graphene has been used to improve the charge rate, capacity and longevity as garphene tin oxide in lithium ion batteries. Graphene gas/vapour sensor has been used to sense gases and have engrossed attention because of their distinct sensing performance. Carbon nanostructures such as grapheme, fullerenes, and carbon nanotubes have unique properties. Depending upon the atomic structure carbon nanotubes can be classified into semiconducting or metallic. Carbon nanotubes are going to be the next-generation material in transistors and Carbon nanomaterials will change the whole world one day. Materials characterization is widely used at various segments of product design and manufacturing processes of materials. To characterize the material for product development, prototype testing we require both the physical and chemical image type information. There are a lot of characterization processes and tools available for Surface chemical analysis, Near Surface chemical analysis, Surface Imaging, Defect analysis, Atomic & Nanoscale Chemical Analysis, Analytical imaging and non-destructive internal imaging. Our lives are becoming easier by materials such as metals, composites, semiconductors, carbons, ceramics, etc. The International conference on Emerging Materials and Nanoetchnology is the platform for global researchers, Scientists, professors and engineers who are active in the research areas of Materials science and nanaotechnology to share their novel research experience. The prominent research topics include Materials Science, Nanotechnology, Smart Materials, Ceramics and Composite materials, Advanced Materials, Graphene, diamond and carbon materials, energy materials. Materials are the fundamental functionality of the built environment that initiates the development of new products and technologies. Material science is an interdisciplinary field that involves the innovation and design of new materials in the areas of science and technology by integrating the elements of physics, chemistry and engineering. The arena has extended to encompass every class of materials that embraces metals, ceramics, polymers, semiconductors, biomaterials, medical implants and nanomaterials. Nanotechnology is aiding to significantly develop, even transform numerous technology and industry sectors such as medicine, energy, homeland security, information technology, transportation and environmental science. Circuit Materials Market depending upon the type of materials, substrate, conducting material, Outer layer and application is assessed to be USD 30.58 billion in 2018 and is proposed to reach USD 36.85 billion by 2023, at a CAGR of 3.8% among 2018 and 2023. The advancement of circuit materials market can be endorsed to their property of high conductivity which has increasing demand in electronics sector. The flexible substrates market by Type, application is predictable to grow from USD 402.9 million in 2018 to USD 775.8 million by 2023, at a CAGR of 14.0% during the prediction period from 2018 to 2023. The progression of the flexible substrates market can be recognized to the cumulative demand from the electronics industry across worldwide. Flexible substrates are progressively being used in the production of flexible printed circuit boards. They are also used for the fabrication of solar modules. Furthermore, their improved use in the manufacturing of medical & healthcare devices is also motivating the growth of the flexible substrates market worldwide. Improved consumption of flexible substrates in solar application is also prominent to the development of the flexible substrates market across globe. The European microscopy market is projected to develop at a CAGR of 7.0% to spread $ 1,798.4 Million by 2020. Optical microscopy is the major segment of the microscopy market. The electron microscopes product segment is anticipated to show the fastest development throughout the prediction period. The microscopy market depending upon the products, type of microscope and their end user application is estimated to range USD 7.39 Billion by 2022 from USD 5.30 Billion in 2016 at a CAGR of 5.7%. The initial year considered for the study is 2016 and the prediction for the market size is provided for the period between 2017 and 2022. The universal hydrogen generation market depending upon the generation, application, technology, storage and region is proposed to extent a size of USD 199.1 billion by 2023 from an estimated USD 135.5 billion in 2018, at a CAGR of 8.0%. This development can be endorsed to the growing claim for hydrogen in oil and gas refineries and increasing demand for fuel cells in transportation and power generation. The biomaterials market is anticipated to range USD 149.17 Billion by 2021 from an projected USD 70.90 Billion in 2016, at a CAGR of 16.0%. The development of the global biomaterials market can be endorsed to improved funds & grants by government bodies worldwide, the developing implantable devices market, technological advancements, increasing number of hip and knee replacement procedures, and great evolution in geriatric population coupled with rising occurrence of cardiovascular diseases. The comprehensive dental biomaterials market depending upon the type of material and end user application is expected to reach USD 9.6 billion by 2023 from USD 6.7 billion in 2018, at a CAGR of 7.4%. The increased occurrence of dental disorders, rising geriatric population, and the growing dental tourism in developing countries are the key aspects driving the development of dental biomaterials market.On the other hand, the presence of inflexible regulatory and clinical processes is one of the main factors restraining market growth. The 3D bioprinting market depending upon the technology, materials, research and application is projected to extent USD 1,332.6 Million by 2021 from USD 411.4 Million in 2016, at a CAGR of 26.5% throughout the prediction period. Increasing claim for organ transplantation, increasing research and development, cumulative public and private investments in research, and rising use of 3D bioprinting in drug discovery are driving the development of this market. The lack of comprehensive automation in 3D bioprinting and socio-ethical concerns linked to the use of 3D-bioprinted products are the main challenges in this market. The hybrid composites market by material type and end-user application is expected to develop from USD 436 million in 2018 to USD 876 million by 2023, at a CAGR of 15.0% throughout the prediction period. The market is increasing because of the huge demand from the automotive & transportation, wind energy, and sporting goods end-use industries. Hybrid composite products are ideal as they can decrease the weight of the product and are stronger than metallic parts. The advanced composites market depending upon the fiber type, resin type, manufacturing process is expected to develop from a projected USD 22.91 Billion in 2017 to USD 38.41 Billion by 2022, at a CAGR of 10.89% between 2017 and 2022. The development of the advanced composites market can be endorsed due to the improved use of advanced composites as they provide a high strength-to-weight ratio and improved heat resistance. Graphene also known as “wonder material” is the world’s first 2-D carbon material. Graphene is an ultimate material for numerous applications in several end-use industries because of its unique properties such as efficient conductor, fire resistant, extremely flexible yet 200 times stronger than steel and an ultra-light material. The worldwide graphene market is anticipated to range USD 278.47 Million by 2020, with a growth rate of 42.8% from 2015 to 2020. Graphene is a forthcoming conducting material which substitutes traditional electrode materials such as Indium tin oxide (ITO) in electrical and optical devices. This and several other features that make Graphene the most ideal material for applications such as exceptionally strong composite materials, flexible displays and nano-transistors etc. Asia-Pacific is the major consumer of polymer nanocomposites. Among all the countries in this region, China, Japan and India are significant users of polymer nanocomposites. China held the principal share in the regional consumption in terms of volume in 2014. The market size in terms of volume is moderately low in the RoW, but is projected to have a emerging CAGR amongst 2015 and 2020.